Home / Home Improvement / How About The Operable walls? How About The Operable walls? With the increasing population around the world, there has been a growing need for the space management in an efficient way so that a single space can fulfil multiple requirements. For instance, you have a spacious area dedicated for the visitors coming to your office or for the conference. Now, you need to create some workstations to accommodate the additional staff. You have two options - either you can move to a bigger place or you can utilise the available space economically in the existing office. If you create permanent structures there, you will lose the opportunity to conduct the conference. 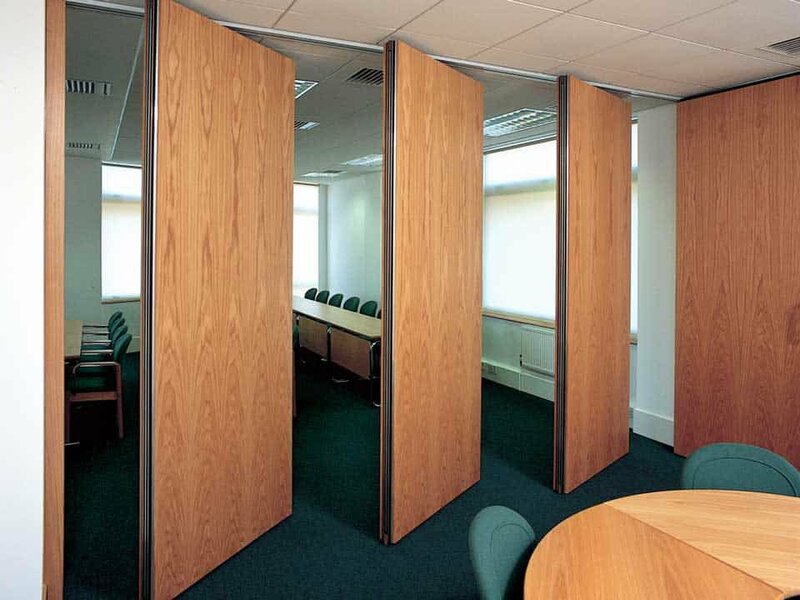 There come operable walls to your rescue. · Mobility: Taking a clue from our previous example, we can say that you have space where you want to create workstations. Therefore, you have to devise something that must be movable from time to time as per your requirement. Operable walls come as a perfect match there since you can take them to places conveniently. In other words, the mobility of these walls come handy to you. · Durability: These walls are very much durable provided you buy them from a reputed vendor. You know what a reputed vendor by default comes with a warranty/guarantee here especially on the quality of these walls such as the durability. After all, the vendor will be concerned about its name and the brand value. So, when you buy them from a reputed vendor, you get the efficient value for your money. · Economy: While running an office setup or a display outlet, running them economically makes sense. You can't afford to make capital expenditures every now and then and again bear the cost of depreciation and maintenance. Therefore, unlike the cost of other permanent walls, operable walls come cheap and offer a unique opportunity to save money. In the end, these walls contribute to your bottom line. · Multipurpose use: One wall and many uses - that's how you can express these walls well. In fact, you can operate them from time to time bespoke to your exact needs. This translates to the multiple uses of these walls though you have made a single investment in them. Thus, purchasing these walls, you make the best use of your money and save cost. · Interior decoration: These walls are strong and sturdy on one hand and they are aesthetically sound on the other. So, when you take them to your multiple uses, they actually offer flexibility complementing the look and feel of the places. In other words, the areas where you put them to use get beautified further and this doesn't go unnoticed by your colleagues and the visitors. · User-friendly: Taking these walls to places is simple and doesn't ask for a genius to manage. You can handle them on your own. To know more about these walls and its' possible uses, we advise you to visit a store online or offline according to your convenience for a complete view of them.